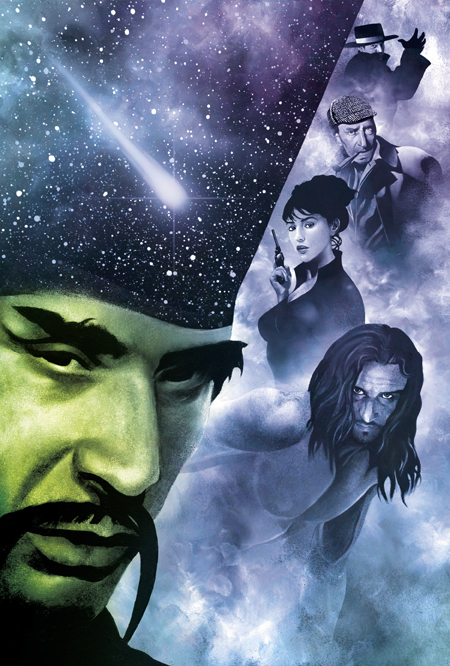 In his classic “biographies” of fictional characters (Tarzan Alive and Doc Savage: His Apocalyptic Life), Hugo- and Nebula-award winning author Philip José Farmer introduced the Wold Newton family, a collection of heroes and villains whose family-tree includes Sherlock Holmes, Fu Manchu, Philip Marlowe, and James Bond. In books, stories, and essays he expanded the concept even further, adding more branches to the Wold Newton family-tree. MYTHS FOR THE MODERN AGE: PHILIP JOSÉ FARMER’S WOLD NEWTON UNIVERSE, edited by Win Scott Eckert, collects for the first time those rarely-seen essays. Expanding the family even farther are contributions from Farmer’s successors—scholars, writers, and pop-culture historians—who bring even more fictional characters into the fold. If you would like to be informed when this site is updated please use the form below to join a mailing ist. * This will not be updated with any regularity, if at all. As of now WSIWYG. GRAPHICAL FAMILY TREES: These are my attempts at presenting some of the family trees on my site and other participating sites in a graphic format. Massive survey of all the characters mentioned on the site. Articles written by me or written by fellow Wold Newton researchers on a variety of Wold Newton related matters. Subject matter ranges from alien invasions, time travel, Tarzan, superheroes and wild western characters. WNU-GAZETEER: A small and eclectic collection of geographical entries specific to the WNU. This Wold Newton Universe site was created for the sole purposes of entertainment and information. All rights reserved. Since the text is by two or more authors each page will have its own specific copyright. No copying or reproduction of this article or any portions thereof in any form whatsoever is permitted without prior written permission and consent of the authors. The author claims no interest in nor ownership of any images used in the creation of this site.